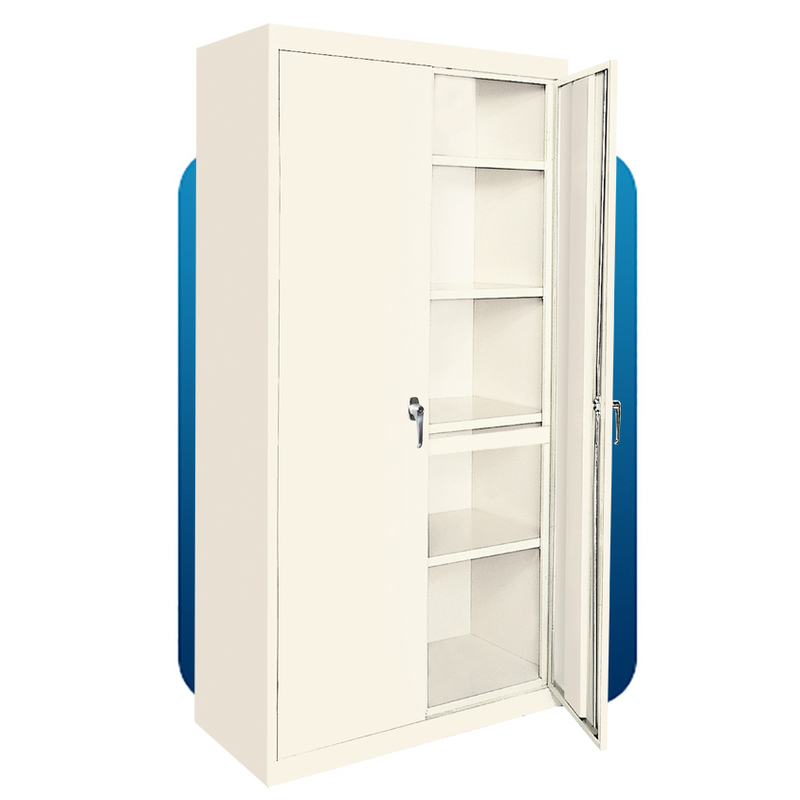 The design features of the AAH-36RB combine in one cabinet the solid support of a reinforcement bar, together with the flexibility of four (4) adjustable shelves that can be relocated to handle a great variety of storage requirements, and can also be quickly changed. As a special feature, a hanger bar is welded to one of the shelves so that cabinet can be used as a wardrobe closet. Colors available in Gray, Black, and Putty. This product is in stock, but not sold online. The cabinet is designed with 5 contact points on each shelve and a stiffener welded to the bottom of each of the shelves for added support and load bearing capacity. All parts are electronically welded together as a unit to produce a very strong and reinforced body with maximum carrying capacity for the shelves. Includes double stiffeners on both doors. Supplied plastic glides raise the cabinet off the floor for easier moving, cleaning, etc. There is no other material that has the strength, durability, and cleanliness of steel.